Escape the “been there, done that” doldrums—or the dreaded selfie-stick crowds—by filling up your 2019 bucket list with some less-than-Instagrammed destinations. Here’s a list that hops all around the world with names that may or may not be familiar, but that will certainly make for some amazing memories for you and your travel companions. Lonely Planet loves it (it’s on their 2019 Best in Travel list)—and there really is SO much to love about it! This natural paradise encompasses prairies, forests, mountains, rivers and lakes all the way from the Arctic tundra to the north to Hudson Bay to the west and farmland to the south. With over 80 provincial parks, this is outdoor heaven: camping, fishing, hiking, biking, you name it. Need a little city? The capital, Winnipeg, is a vibrant city, very cosmopolitan and very international. Think arts, sports, culture, entertainment, and recreation. Located next to Osaka, the Wakayama Prefecture is considered by many as Japan’s “spiritual heartland”—think 52 temples on holy Buddhist grounds that, yes, allow visitors to stay and meditate, attend services, and more. There are huge fish markets with traditional tuna-cutting displays and fabulous festivals like the Nachi Fire Festival, one of the three major fire festivals in Japan. This rock-n-roll city is preparing to celebrate its bicentennial in 2019, touting new hotels, renovated parks, and new attractions. Famous for its music (you know, Elvis, B.B. King, Johnny Cash, just to name a very few), Memphis is setting aside the month of May once again for its usual month-long Memphis in May celebration, but this year it’s focusing on itself instead of celebrating a foreign country. It’s a month of pure partying and a harbinger of a new century of soul. Located in the very remote area of Lucania in southern Italy, Matera is still off-radar for most foreign visitors. 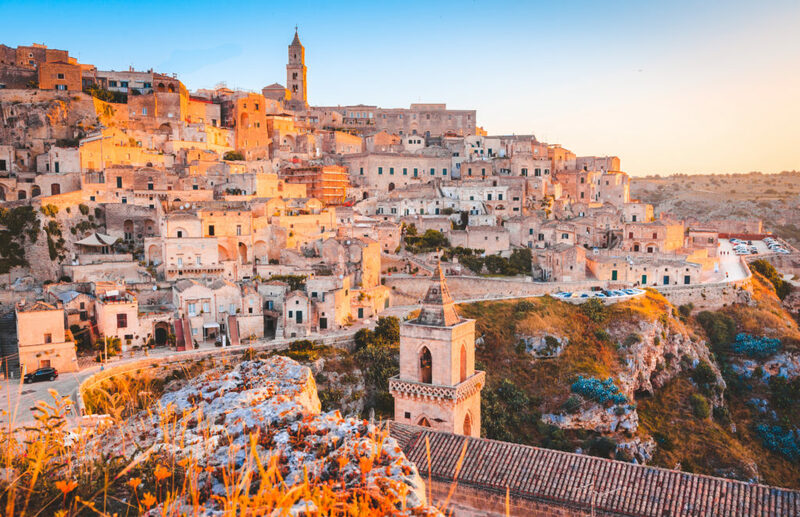 It’s known for its cave-dwelling districts called sassi—visitors can even stay in the caves and truly immerse themselves in the local experience. Locals have been living in the caves for centuries in dwellings that range from humble to the downright chic and luxurious. Laid back and boho-chic Belize also has its luxurious side: right in the heart of the charming seaside village of Placencia is a gorgeous independent hotel with a lobby designed like the guest house of your favorite multi-millionaire friend. If and when you can peel yourself away from your villa, there are tons of dive sites on the coral in Belize Barrier Reef, beautiful palm-lined beaches, and adventures at. Places like the Cockscomb Basin Wildlife Sanctuary and the local Maya temple sites. Savannah has popped up on several top places to see in 2019—it’s not exactly a newbie on the list of places to go but travel to this lovely Southern belle of a city has been growing by leaps and bounds. Its burgeoning culinary scene is a big draw, as are its many artistic and architectural experiences. Make plans for fall: the weather is outstanding and so are the events, including the Savannah Jazz Festival, the SCAD Savannah Film Festival, and the Savannah Food & Wine Festival. Looking for less crowds, more beaches? You’ll find just that in Grenada. Also: pristine rainforest, waterfalls, exquisite dive sites, the world’s first underwater sculpture park, and three rum factories. Want more? The island is also known as the Caribbean Capital of Chocolate—organic, of course. Its capital, St. George, is also home to lovely colorful Georgian buildings and the early 18-th century Fort George, which overlooks the narrow Carenage Harbour. With plenty of resorts (and bars), it’s a vacation dream come true.